The same might for religions, and if I might stretch it a little further – despite that rich sources of law, we don’t see law and order maintained in this country. Perhaps, that maybe one reason why we have all these religious conflagrations as well. I am going to deviate from what most people have said. It has been said here that, its generally the minorities within a particular group that go on a rampage and the majority of those people, that the group that they belong – cannot be held responsible for – that I don’t agree. When the Muslims were evicted from the North, it’s easy to put the blame on the LTTE, but every Tamil bear’s responsibility for that, to our eternal shame, that no Tamil ever stood up in the North and prevented that from happening. If the people had done that, it would not have been possible for the LTTE to evict the Muslims from the North. And I can say it as a Tamil, I don’t want to say anything to the others, each community must take this too heart, and bear the responsibility, perhaps a minority – in their group doing these things but, take it, it’s their responsibility, that when it’s done in their name, they too are responsible. And that the only thought I want to leave with you, because there’s been comparisons made between the ethnic conflict and what is brewing now – you know both might have very close relationship. When the country attained independence, there was a compact in the first constitution, which prohibited the passage of certain laws, that conferred privilege on one community or took away from another community, and it had certain specific provisions with regards to religious bodies also. Now 1956, that compact was broken when Sinhala was made the official language. That is said to have been reversed in 1987, but even today when either the Army in full uniform or military intelligence personnel in civies attack TNA meetings in the North and I have to go to the police station and make a complain, I have to make it in Sinhala, after Tamil was made an official language in 1987. But even in the North still you have to do it in Sinhala. But that was done in ’56. But in 1972, that constitution of 1948 was replaced with the first Republican constitution which did two important things. 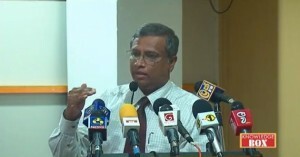 One it elevated the position of Sinhala as the official language, to a constitutional level. Until then it was only an official languages act. And also for the first time, made Buddhism the foremost religion of this country. 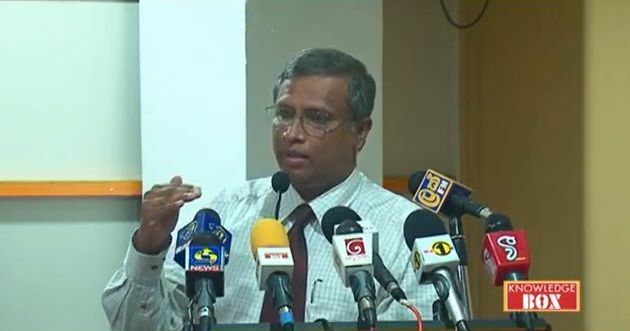 Now we can debate, discuss as to why the majority Sinhala, majority Buddhist people of this country felt a sense of deprivation during colonial times and wanted to assert or wanted reverse discrimination done, once the country attained independence and used their majority numbers to attained that. There is something to be said for that. I am not denying that. But in that process you also then provided for disenchantment or feelings of insecurity, feelings of discrimination on peoples of this country, who were numerically in the minority. And so the cycle will go on and on and on. Until we realize, or the large majority of our people realize as all the speaker s have claimed – are not the ones to be blamed, but if they are not to be blamed, then we have to realize that enough is enough. And not be silent spectators while this carnage goes on. And step out and assert, if we adhere to right principles – assert that is the one will prevail, over and above what the small minorities are taking forward. And one practical step I want to suggest, in the present climate, in the present context where the Muslims have come under attack – I really don’t understand why this is happening to the Muslim community. At least the Tamils, you can say they took up arms and fought the state. What have the Muslims done? Why are they being hunted like this? And if we are responsible people from other communities, I am suggesting – I’ve done this once before, second time I am going to do this in public, I am suggesting, if it ever becomes dangerous – its already – but if there is a decree, that the Muslim people, the Muslim men shall not wear the face-cap or the Muslim women should not wear the hijab, I am calling on all right thinking people in this country – Buddhists, Christians, Hindus – to come forward and ourselves wear those.